KENNEBUNK, ME--(Marketwired - Jan 16, 2014) - Reinforcing its position as a leader in NetFlow and IPFIX reporting, Plixer International, Inc. is the first vendor to support Cisco High Speed Logging (HSL) and will demonstrate this in an upcoming webcast, co-hosted with Cisco Systems, on Thursday, January 23, 2014 at 10 AM (ET) and 4 PM (ET). Plixer Founder and CEO Michael Patterson will demonstrate several new reports and will be joined by Nikolay Poturnak, Sr. Product Manager for Cisco Enterprise Networking Group, and Muhammad Abid, Sr. Product Manager for Cisco Services and Routing Technology Group, who will cover the ASRs architecture and feature set. Commenting on the future of network security, Plixer's Patterson said: "It's a privilege to work with Cisco on these new exports which reaffirm Cisco's commitment to the technology and readiness to meet the challenges of deeper and more investigative security applications." Cisco is showing further commitment to combining threat detection and flow technologies by including Application Visibility and Control (AVC) support in its ASR 1000 series scalable services product line. Certified by Cisco for AVC support, Plixer has built-in support for the new HSL flow exports which provide details on NAT, firewall events, zones, classes, VRF, NBAR, and more. This capability positions Plixer as the provider of the most extensive NetFlow and IPFIX support seen in the industry to date. "This release demonstrates that Cisco is committed to biflows similar to those specified in RFC 5103. We had already made provisions for this in our collector for the Cisco ASA NetFlow export, but the application layer detail available from ASR platform is considerably richer than we have seen from other firewalls," said Erik Peterson, Director of Engineering at Plixer. 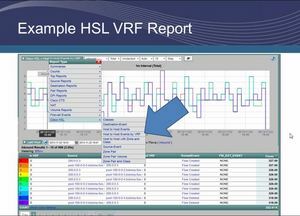 "These new contextual details allow ASR administrators to take network traffic analysis to the next level. We are now integrating with most network authentication servers, which allows for quicker user identification of IP addresses, and ultimately improved situational awareness." Plixer International, Inc. is a leading NetFlow, IPFIX and sFlow solution provider specializing in network threat detection, historical reporting and capacity base-lining for both physical and virtual environments. They assist customers implementing and troubleshooting: VoIP, Telepresence, Unified Communications, Medianet and other time sensitive applications. Plixer tools have been used to analyze and troubleshoot irregular traffic patterns by IT professionals with some of the largest networks in the world, such as CNN, The Coca-Cola Company, Lockheed Martin, IBM, Regal Cinemas, Raytheon, and Eddie Bauer. Plixer International, the first vendor to support Cisco High Speed Logging (HSL), will demonstrate several new reports in the upcoming webcast with Cisco. Plixer's Scrutinizer NetFlow and sFlow Analyzer analyzes your network behavior for cyber threat detection.